The increasing interest in online payment methods by major social media giants including Facebook Inc (NASDAQ:FB), Apple Inc (NASDAQ:AAPL), and Twitter Inc (NYSE:TWTR) is an alarm for the banking industry to upgrade its existing payment methods. According to a report from Daily Mail Online, social media platforms would play a major role in banking in the upcoming years. The financial tech expert, Gi Fernando, wrote about the future where users could make a payment with a single tap or flick of their finger and one’s credit score depends upon his company on major social media networks. He added, “We’re on the brink of some seismic changes in the way we all use money.” In his string of future predictions, he even said that there is likeliness that a person’s credit risk would be judged according to his behavior in the social circle. A reliable and stable friend network would allow lower interest rates whereas users without social accounts might be penalized in the future banking industry. It might sound a bit strange at first but if all the facts and technological advancements are kept under the scanner, one would realize that this future might become possible in the next few years. 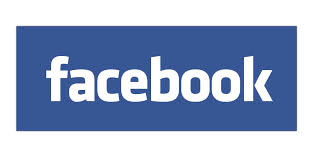 Facebook Inc (NASDAQ:FB) partnered with online payment system Stripe to add “Buy” button in its social media platform. Not only Facebook but also Twitter Inc (NYSE:TWTR) has added a “Buy” button in its posts to enhance the shopping experience of its users. Apple Inc (NASDAQ:AAPL) has come up with Apple Pay that allows users to make the payment with a single tap of a button.